Skip to on Air now to listen live. Showcasing Devon's talent for your Thursday evening. Join Pippa for news, information and great music, with a bit of fun for your drive home. Join Janet with your views on the day's big stories including the lunchtime news. Toby Buckland sits in with music and conversation about Devon from Devon. Hits and headlines - but what are the years? Local and national news, weather and travel with Gordon and Laura to start your morning. Music and conversation to get your day off to the best possible start with Laura James. Michael Chequer - Caring for our seas. Michael meets Chris Sharon & Lauren - 3 people with a passion for Devon's maritime life. 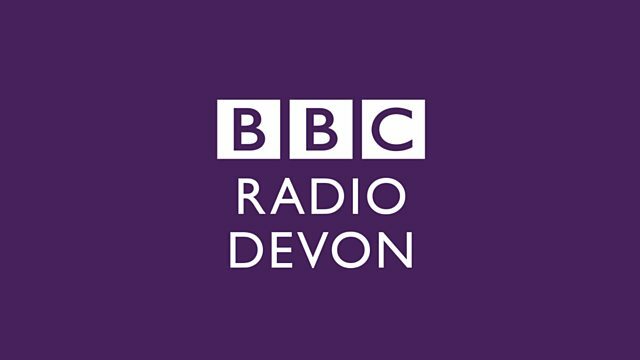 More for you to enjoy from BBC Radio Devon. How BBC Radio manages your personal data. A rundown of all the latest BBC radio commentaries online.